I am mystified over the difference between an English tea cup and a Chinese tea cup. 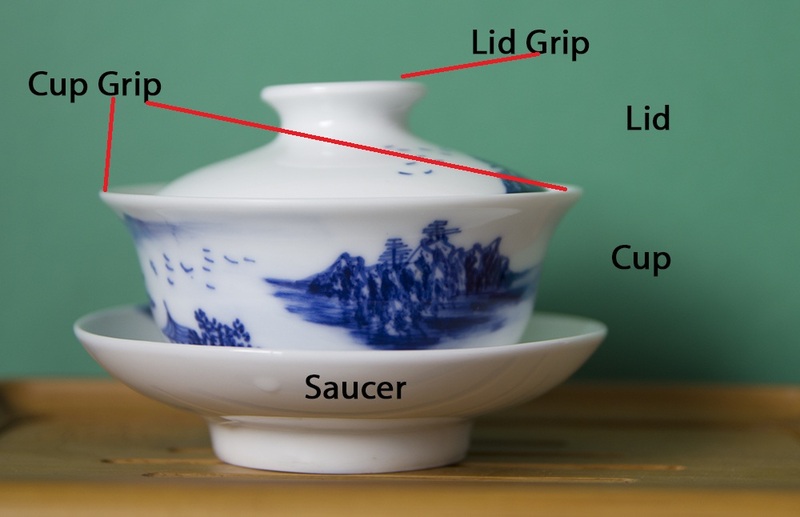 The difference is that a chinese teacup does not have a handle/"ear" while an English teacup does have a handle/"ear." 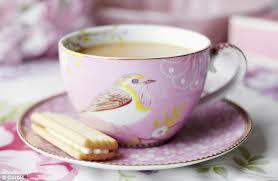 When the Chinese tea cup was originated, it was much easier to fashion a cup without handles. It made it much easier to stack and ship, and they were often shipped as ballast for relatively cheap. Additionally, the size of the traditional tea cup made handles impractical. 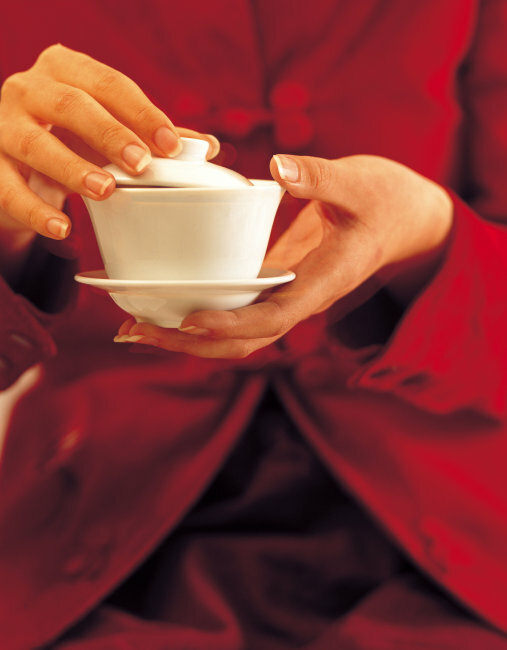 Contrary to popular belief, tea in the Orient originally was served at a much lower temperature. 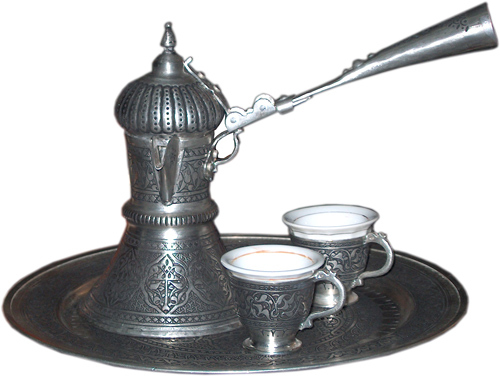 High temperature tea was a European custom, as it would dissolve the sugar much faster. It was a Western custom to start putting handles on cups, and for a long time adding handles to existing cups was a business. I can only think of one reason, but I wonder: are there any other plausible reasons? If it's too hot to hold, it's too hot to drink. This is absolutely a legitimate UX question! - Albeit more on the side of industrial and human factors design as it lacks a digital user interface (which is how many people define "user experience"). Nonetheless, it's always a great design exercise to study existing artifacts and how their affordance affects the way people will perceive or use them. Culturally, I believe it's also considered more polite/traditional in Asia to serve/hold the cup with both hands. Right hand holds the top edge, left hand's fingers support the bottom. Because in old times, Chinese liked symmetry. Considering the etiquette if both hands are used to drink a tea and lid need to be on top of cup to preserve aroma and considering smaller size of cup, having handle does not make sense. Before the age of ceramics, cups/holders was made from stone hand carving. (http://en.wikipedia.org/wiki/Chinese_jade). I think they choose to not include handle because by using hand carving you cant make precisely same handle. After inventing ceramic procedure, they follow the old technics apperance, since it is a traditional matter. I once asked this question at a sushi restaurant and the answer was, if it's too hot for your finger then it's too hot for your lips. I don't hold with the view that it's not about UX. Take me, for example. 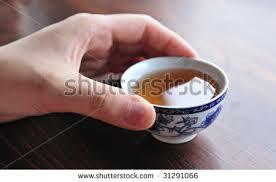 Short stubby fingers that rarely fit comfortably in/around the handle of a delicate china cup. The Chinese way would suit me down to the ground. Plus, I think it's more refined (like the way Geisha support the tea cup by the base as well as the rim) than the dreadful (British?) custom of pointing one's pinkie finger in the air! Taking materials into consideration.. Chinese tea cups are made out of thicker material where it doesn't conduct heat so probably design need not required any ear to it. I'm coming from a Central Asian nomadic culture (Kazakh), north of China. 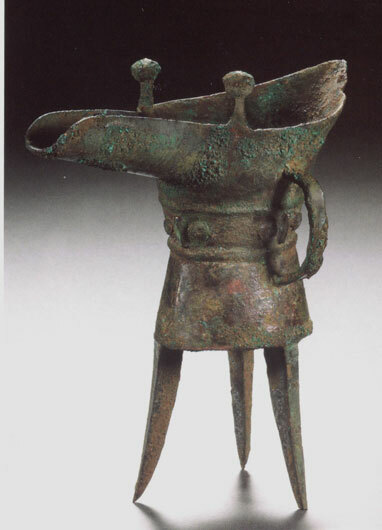 We share many components of nomadic culture, including the pottery. 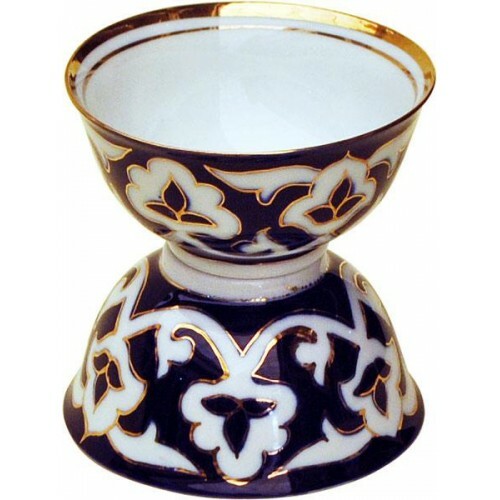 Rounded cups have been known in the region since second half of 1000 BC. Our cups are called kese [keseh]. The ergonomic factors of kese are exhaustively defined by the nomadic tradition. One, the shape has to allow for a compact storage. Two, most importantly, nomadic way of living means moving around constantly. All parts of the culture are defined by this: clothes, food, even pottery. The region's climatic zone is steppe-desert, in which the soft dusty and sandy soil is prevalent. When a nomadic person makes a stop to eat, such cups, especially if the bottom is rounded, are stable if thrusted in the sand or soil. They don't fall over even on the uneven ground. If there was a handle, an effort to stabilize such a cup in the ground could break the handle or break the cup altogether. China has a tradition of ceramics since ancient times. Ceramic insulation is good heat dissipation, the cup will not need to ears (to). Europeans since ancient times the use of metal and glass to do drinking fountains, because these objects heat fast, or as a grand (no easy to slip off), so accustomed to ears. Then the Europeans in the customization of tea to China, it is required ears. Not the answer you're looking for? Browse other questions tagged usability interaction-design physical or ask your own question. Are commands different in terminals for other languages?